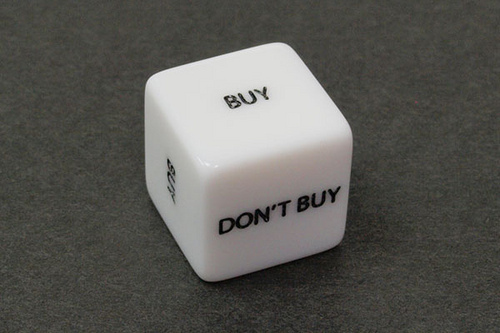 Should you buy this dice or not? That’s the problem… When you can’t make a decision, just throw the dice! Today’s products from the B-LABO website are these very unique dice. 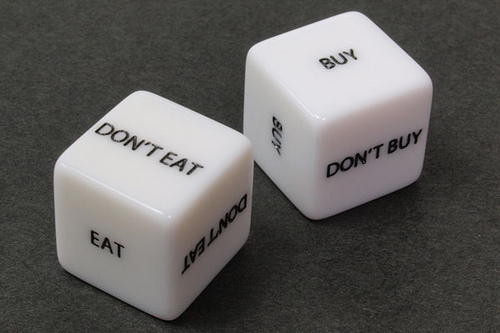 It’s very convenient to roll the EAT / DON’T EAT dice when you want to have another hamburger but also have to care about your weight. Fun, isn’t it (^^)? And there are more and more fun and useful dice. Check them out! Think of tossing the “I PAY / YOU PAY” dice after finishing a meal at a fancy restaurant. How thrilling it is! And these dice can be a clever and sweet wedding gift. Don’t you think so (^^? *Each couples dice has a side of “TOGETHER” and “ONCE MORE” as well. You can order your own dice HERE.